In an interview with The Herald Sun, father of two and celebrity chef Curtis Stone has said parents pander too much to fussy eaters and encouraged parents to let kids go hungry if they refuse to eat the meal you’ve cooked. The topic has sparked hot debate amongst parents. Curtis told the Herald Sun “I don’t see the big deal in letting kids go hungry a few times. They’ll eat when they’re hungry,” and that he thinks the problem is " too many parents worry about their kids being hungry that they let their children dictate what they eat." He also said children shouldn’t be allowed to snack between meals so that they will be hungry when mealtimes come around. The majority of supporters argue that they were forced to eat what they were given or go hungry as kids and it worked for them, with comments like “Worked with us as kids” and “I was always told eat what you’re given or go hungry” common on the Herald Sun Facebook post about the article. Many others say they’ve taken this stance with their kids and it has worked for them. However many parents are angry at the remarks, pointing out that Curtis Stone is a celebrity chef and not a parenting expert, with comments like “And a chef is just that a glorified cook not an expert at anything else.” Others pointed out that trying to feed a fussy eater is a daily battle for many that don’t appreciate being blamed for their kids’ diet choices. Science seems to agree. 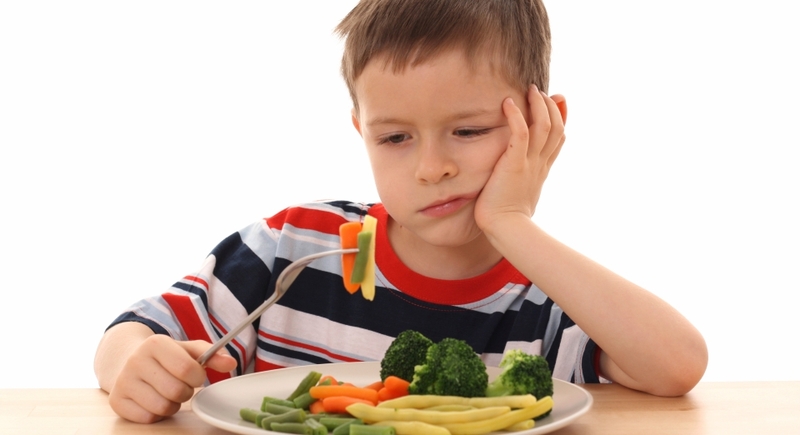 Parenting Science notes an observational study done in 2008 found that children who were more pressured to eat actually consumed less fruit and vegetables and more junk food. Curtis’s comments that healthy foods should be offered at each meal seem to be universally accepted, but what to do when they just won’t eat is a decision that every parent needs to make for themselves. ellaslist wants to hear from you, would you let your kids go hungry if they refused to eat a meal? Absolutely agree with Curtis! My daughter was hopeless at eating anything healthy so I cut back her eating to 2 small meals during the day, no snacks at all, then lots of veges at night. She was so hungry she would eat everything and now she LOVES veges. My two youngest have been the same. They are way more likely to eat their veges if they haven't had any snacks during the day.